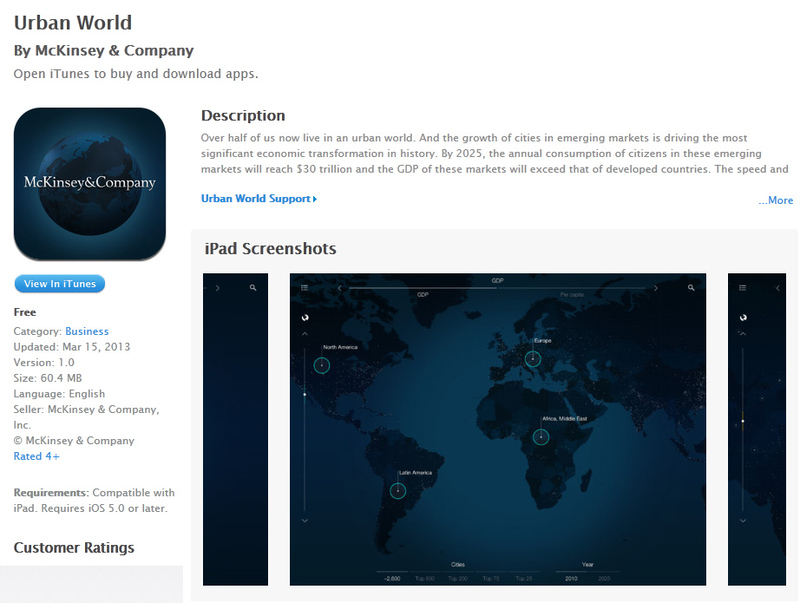 A new app called Urban World beautifully projects how cities around the world are going to explode in growth and economic power by 2025. These items cause me to reflect yet again on the state of our hearts...as it doesn’t take much to think of the next steps in terms of using such robots as instruments of war. Do you think I’m stretching a bit too far here? 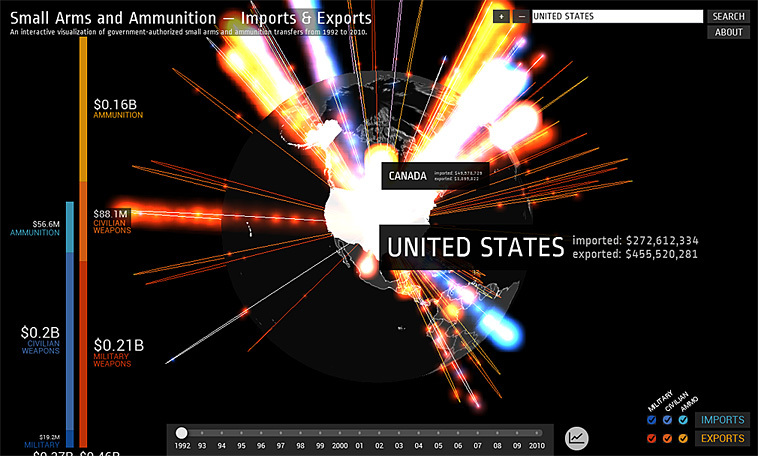 How about after considering the following interactive visualization that Google just created? 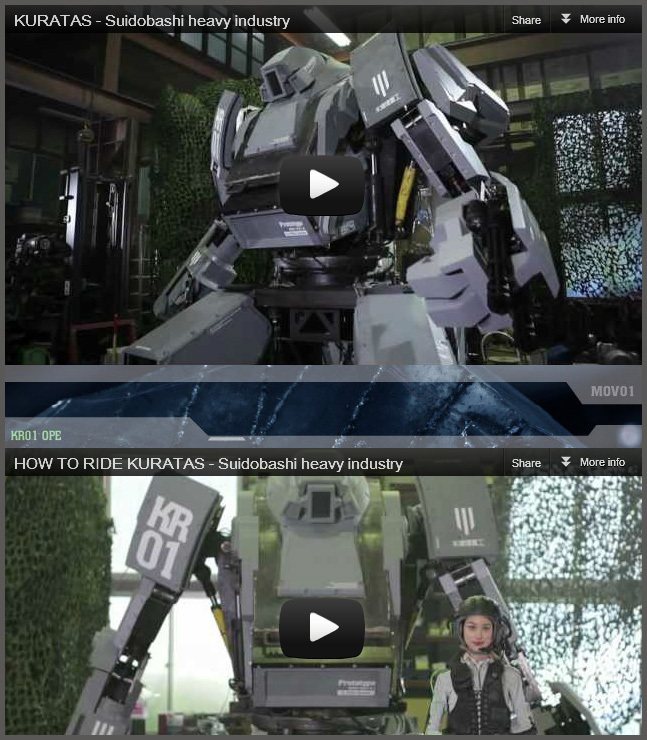 [On 8/28/12] How about after reading This week in bots: The robots we build to kill for us — from fastcompany.com by Kit Eaton? I’m Dr. Keith Devlin, a mathematician at Stanford University. In fall 2012, I’ll be launching my first free online math course. This blog will chronicle my experiences as they happen, and hopefully garner some feedback and discussion for what can be approached only as a huge, but exciting experiment. It’s been amazing. You’d see someone post in Brazil looking for other students in Brazil so they could meet and have a study group at a coffee shop. Facebook sites for the course popped up, not all in English. There are people in Tunisia, Pakistan, New Zealand, Latin America. And a professor in Mongolia has a group of students taking the course. He got them all a little laboratory kit, so they’re doing the experiments live along with the course. Norvig delivered a TED Talk titled “The 100,000-student classroom” in which he shared what he and Thrun learned about reaching a global audience through online teaching. He and Thrun worked together to create an online class that would be equal or better than the flagship artificial intelligence class at Stanford … and to also bring it free to anyone who was interested in signing up. Norvig and Thrun watched in amazement as 50,000 people signed up during the first two weeks after the class’s announcement, and grew “a bit terrified” when it reached a total of approximately 160,000 students. 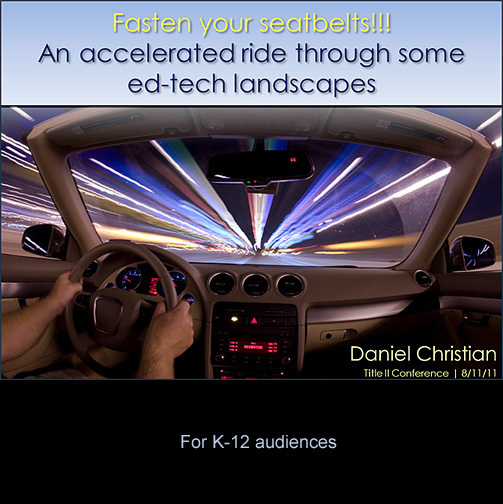 Models of teaching worldwide are being revolutionized and reconsidered in real-time, and it seems everybody is looking for the holy grail of how to future-proof their classrooms. 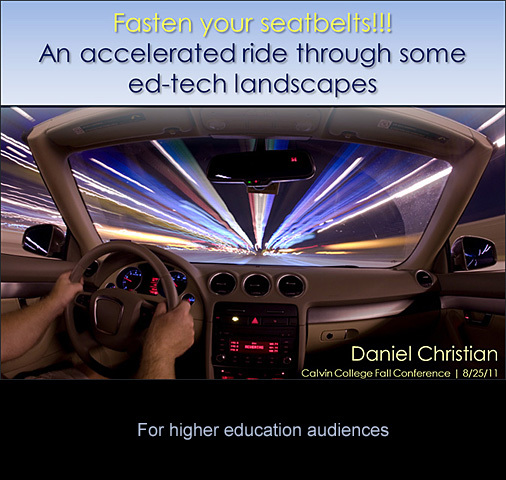 Advancing technology is leaving old schools of thought in their wake, and teachers are waking up to the fact that things will only speed up further in the foreseeable future. 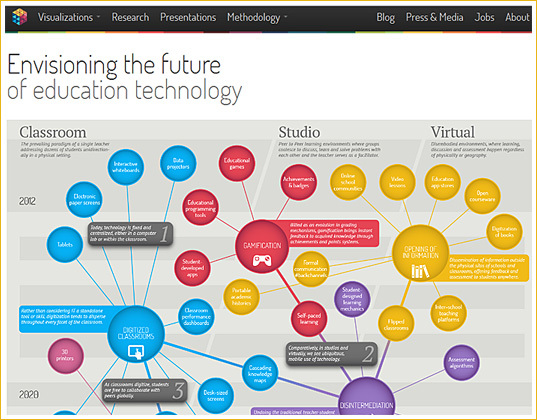 Having spent time with the wonderful people at TFE Research in Dublin earlier this year, our new visualization is a concise overview of technologies that have the potential to disrupt and improve teaching on all levels. Along with a few dozen emerging techs, we identified six key trends that link and contextualize said technologies, including classroom digitization, gamification and disintermediation. The new breed of “user experience” designers – part sketch artist, part programmer, with a dash of behavioral scientist thrown in – are some of the most sought-after employees in technology. Entry-level interactive designers at startups are commanding salaries easily topping $80,000, almost twice the median pay for primarily print designers of about $45,000, according to a recent survey by the American Institute of Graphic Arts. From my experience with Internet-related work and careers, most people are either gifted in the front end of things (interface design, graphic design, web design, etc.) or in the back end of things (programming, databases, scripting, e-commerce, security, etc.). I have seen individuals who can do both…but it’s rare that someone is deeply versed in both sides of the coin. 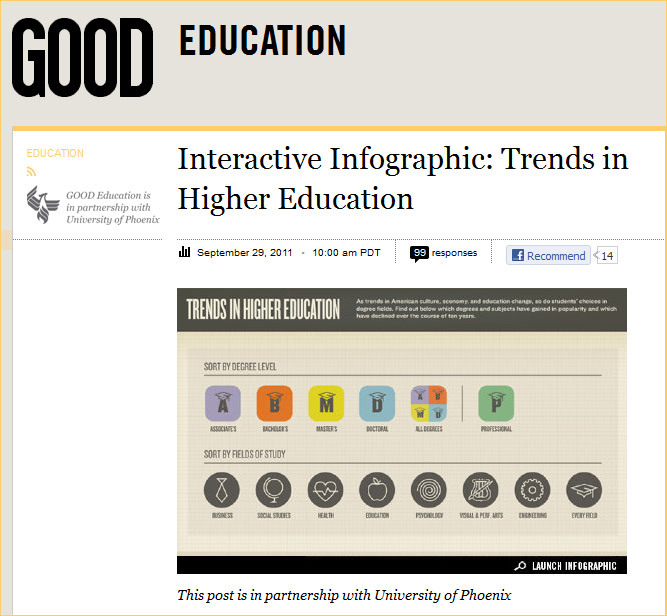 What are we doing in higher ed to foster more cross-disciplinary skills/assignments/projects/teams like this? The discourse of holography as a tool for imagery, art, media studies and science. Holography suggests a new visual universe within a culture where the visual simulation is the most effective communication system; and it let us reflect about the need for a more comprehensive definition of “image”. We can believe that future images will also be holographic and that we shall communicate more and more through them, in a delicate balance between presence and absence, immediacy and remoteness, present and past, materiality and immateriality, matter and energy. 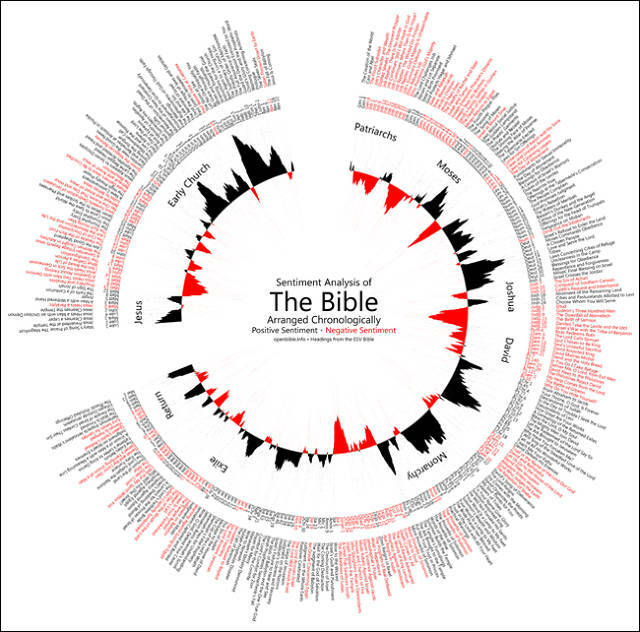 Openbible.info charts the Bible according to positive and negative sentiment–with some surprising results. Things start off well with creation, turn negative with Job and the patriarchs, improve again with Moses, dip with the period of the judges, recover with David, and have a mixed record (especially negative when Samaria is around) during the monarchy. The exilic period isn’t as negative as you might expect, nor the return period as positive. In the New Testament, things start off fine with Jesus, then quickly turn negative as opposition to his message grows. The story of the early church, especially in the epistles, is largely positive. In short, it gives you a bird’s-eye view of the tone of each book, something that’s easy to miss in a line-by-line reading. You could also use it as a guide of sorts to the darkest, juiciest parts of the Bible.